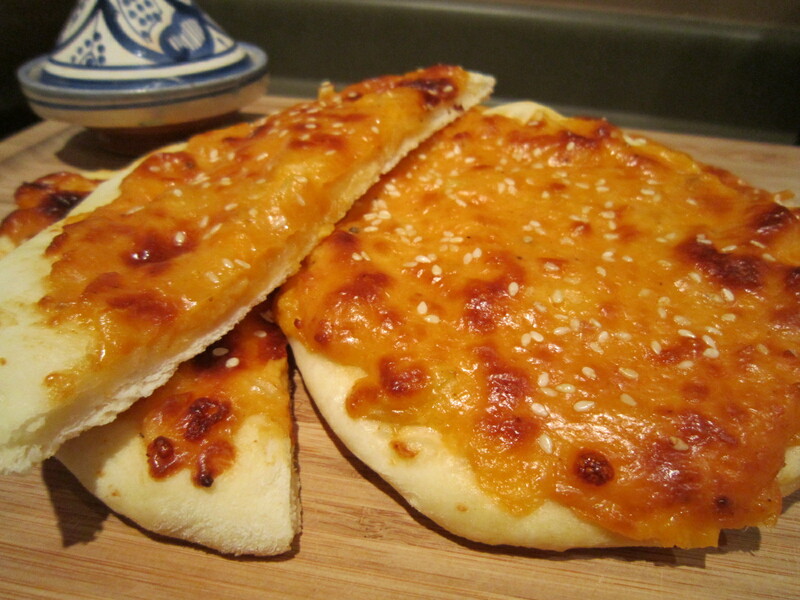 To the uninitiated, these cheeses pies – or fatayer (pronounced, “fat-eye-ah”) – look no more impressive than miniature pizzas without the pepperoni, though I assure you they are one of the most coveted foods to the members of my family. They are unparalleled in their taste and difficult to track down – a kind of Lebanese truffle. My mom and I have a frozen stash of fatayer that we hoard away in our freezers, as our stock doesn’t get replenished often. We moved from Montreal to the west coast, where there seems to be only 12 people of Lebanese descent, so finding a Lebanese restaurant nearby would be a miracle. Food is one of the things my family misses most of Montreal. When my brother flies back for a visit, he spends more time in the shawarma shop than sleeping. When my mom or I visit, we arrange a rendez-vous with our fatayer supplier, a small hole-in-the-wall establishment run by middle eastern octogenarians who speak little English. We transport back several dozen fatayer in our suitcases, often the only souvenirs from our trip, that we then distribute and dole out to the other members of the family. My teeshirts smell like a middle eastern souq for a week, but it’s worth it. My mom has been begging those old women for their fatayer recipe for years; though the only way they’ll give it up, they say, is if she stays with them to work. I can picture the old wrinkled hands busily kneading dough in the back room, the smell of anise and pita bread wafting out into the chilly streets, and the sound of a woman’s voice on the radio singing beautifully in Arabic. My mom declines, though with hesitation I can tell, and chooses to search for the recipe on her own instead. Maybe when she turns 80 she’ll reconsider and join these women with their melodic tongues and culinary prowess and immerse herself in a culture that has been absent from her world since she was a child. My mom and I have come across this recipe for fatayer, though it isn’t quite how I remember my Sito making it. It is close enough, however, and still worthy of being stashed away in the freezer for a day when Montreal calls to me most.